The EEOC recently approved its Strategic Plan through 2016 and is now seeking input from the public on developing a Quality Control Plan (QCP) related to investigations and conciliations. One performance measure under the Strategic Plan requires the QCP. 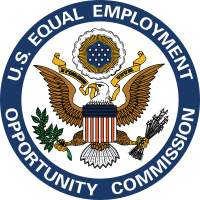 The EEOC requests information from individuals, employers, advocacy groups, agency stakeholders, and other interested parties. Input must be provided by March 1, 2013. The Agency will review the input and make appropriate portions available for meetings used to develop the QCP. Some submitters may be invited to testify before the Commission. The Agency’s February 12 press release is available by clicking here. Education for those doing the evaluation is a must. This includes reasons for evaluation and how it should be conducted. Communication is essential, both in obtaining input about employees and letting employees know the results. Consistency is necessary. The same scale should apply so that evaluation means something with how the employees are viewed and how they are managed. The information in the forms matters. We are all familiar with situations where an employee has been a chronic problem for years but performance appraisals are glowing. That really helps a former employee with a claim alleging pre-textual termination. Honest and accurate evaluations can assist in many areas, whether it is in review of a business unit or department, function of supervisors, or investment of resources. They can lead to better work from employees or can inform decisions about taking adverse employment action.